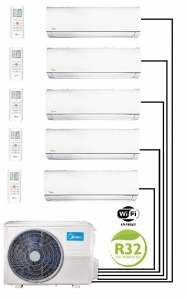 The Midea M50-42FN8-Q is the largest multi outdoor condenser unit that can five high wall indoor units fitted to it. 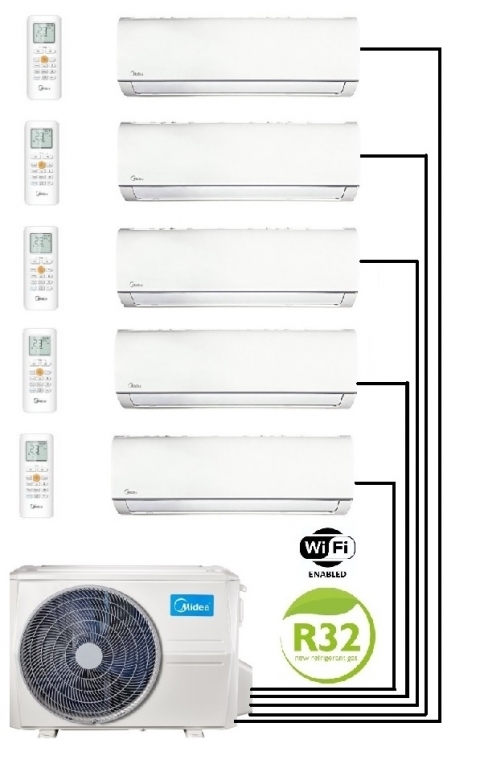 The stylish indoor units have a number of high specification features such as self-cleaning and dual protection filters for clean air distribution from the indoor units. Also included is Wi-Fi to all indoor units.